If you sync with QuickBooks or Xero, your accounting software is your financial system of record, so that's the best place to initiate the refund. 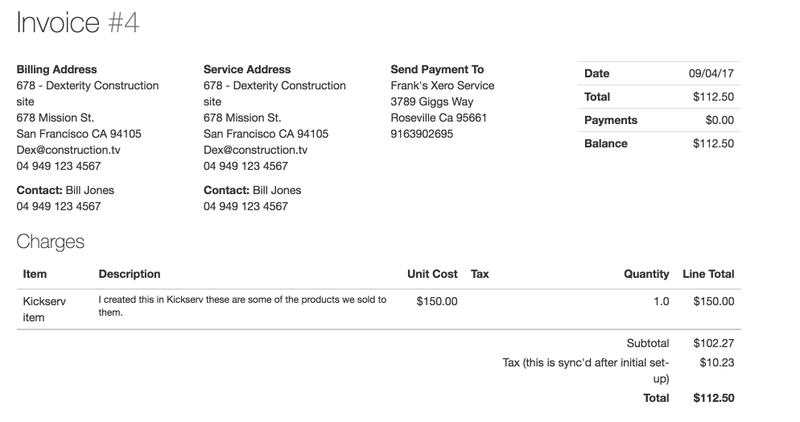 These examples assume that your invoice has already been synced. 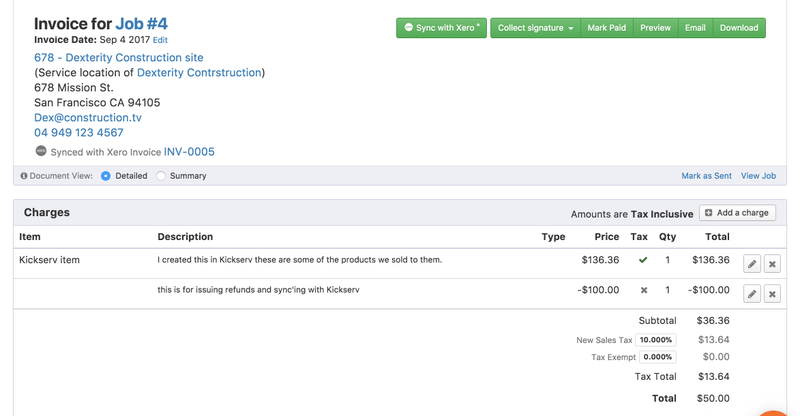 Open the Kickserv invoice and make note of the Xero or QuickBooks invoice number. This example uses QuickBooks Desktop. Processing a refund with QuickBooks Online is similar. Open QuickBooks and locate the invoice by its invoice number. Be sure you have an item in your QuickBooks items list that's specifically for refunds. See this Intuit help article for more information. 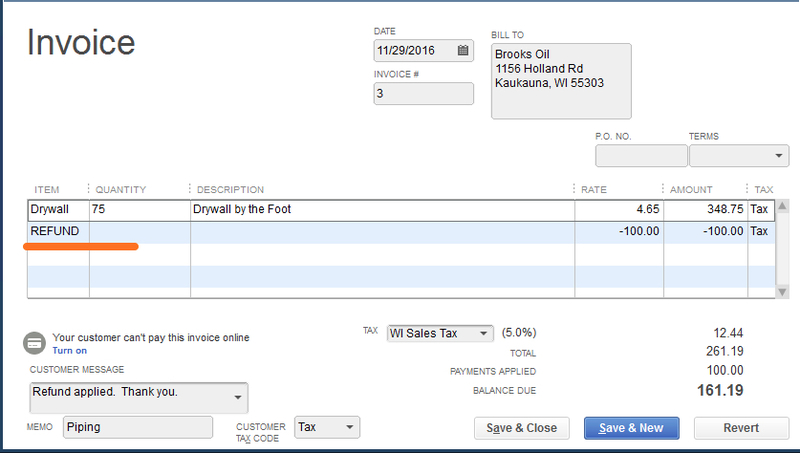 Add that item to your QuickBooks invoice. Run the QuickBooks Web Connector. It will update your Kickserv invoice and add the refund item. 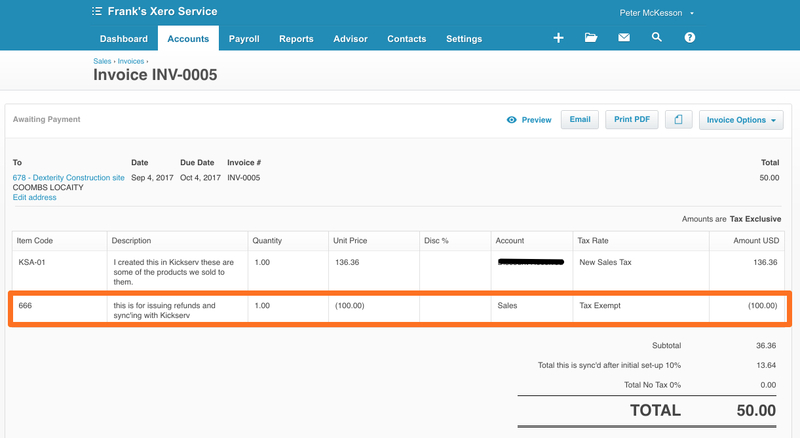 Open Xero and locate the invoice by its Xero invoice number. Xero supports discounts natively, so if you prefer, you can add a discount to the existing line charge in Xero and sync the invoice, and your Kickserv invoice will reflect the discount. If you do this, however, the Kickserv invoice will not show a separate line item for the discount, so your customer will see a discrepancy. If this is a problem, we recommend that you create a "Refund" or "Discount" item in Xero first. 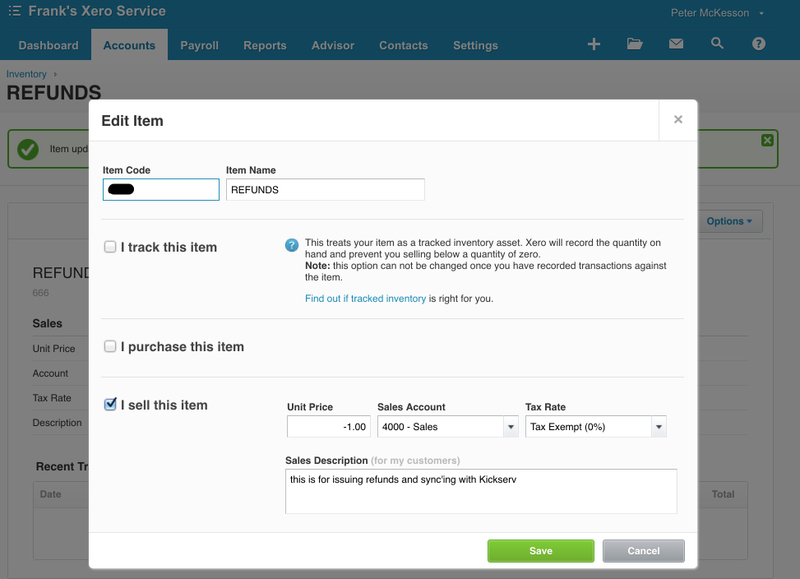 Then, you can add the "Refund" item to your invoice, save the invoice in Xero, and sync.